Of course there’s nothing wrong with some grey colored office attire or a black skirt suit. But wouldn’t you like to spice things up a bit? Just a little? 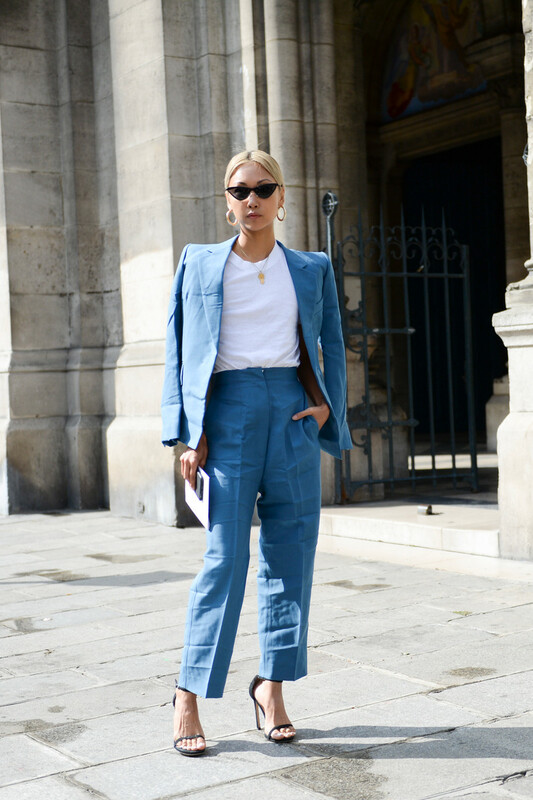 Wear that grey suit deconstructed with the sleeves tied around your waist. Opt for a duo colored look decorated by pearls. Pick a shiny silver suit. Try something off shoulder but with buttons. Or just cover yourself up in a suit in baby blue or light pink. Cause even with formal dress codes you can still play around a little. Just use your creativity and your fashion sense. Keep things proper and cool at all times. Spice the style game up during office hours and have some more fun on the work floor.